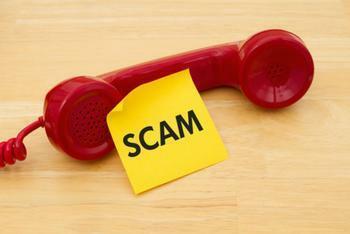 Scammers will often try to bring back old scams that have fallen out of style and make them work. Now, one of the oldest ones, with a new wrinkle, is making a comeback. It's called the "can you hear me" scam. Not to be confused with Verizon Wireless's old marketing slogan, the "can you hear me" scam is used by outlaws who have established valueless telecommunication services that they trick telephone customers into purchasing. It works like this: a robocaller dials your number and if you answer, a human being comes on the line. The first thing he or she says is "can you hear me?" It seems like a perfectly reasonable question. After all, maybe he's having trouble hearing you and thinks there is a bad connection. So you instinctively answer "yes." The caller hangs up because he's got you. The next thing you know, a charge for some weird service shows up on your phone bill. When the scammer asked "can you hear me," he or she was recording your answer. The scammer now has your voice saying "yes." The question might have been "can you hear me," but your answer will be spliced to another question, something like "do we have your permission to add the Acme call forwarding service to your telephone account?" If you'll recall, anytime you change your telephone account, the customer service rep transfers you to a third party who verifies that you are making the change to your account. You give your consent by saying "yes." But how can the scammer begin to charge your account? You can thank Congress. In 1996, Congress updated the Telecommunications Act, adding a provision allowing small, third party companies to market and sell their services to consumers. If a consumer wanted the service, he or she would be billed for it through their local telephone provider. It was supposed to increase competition, allowing little companies to go head to head with the big boys. But the unintended consequence was the proliferation of something called "cramming" -- whereby unscrupulous companies and outright scammers added these services to customers' phone bills without their permission. The current scam takes it to another level. It's been reported so far in Virginia, Florida, and Pennsylvania, but there's no reason to think it won't go nationwide soon, if it hasn't already. So if you answer the phone and the first thing you hear is "can you hear me," fight the urge to respond. Just hang up. You've got a scammer on the other end of the line and engaging him in any kind of conversation could be dangerous.